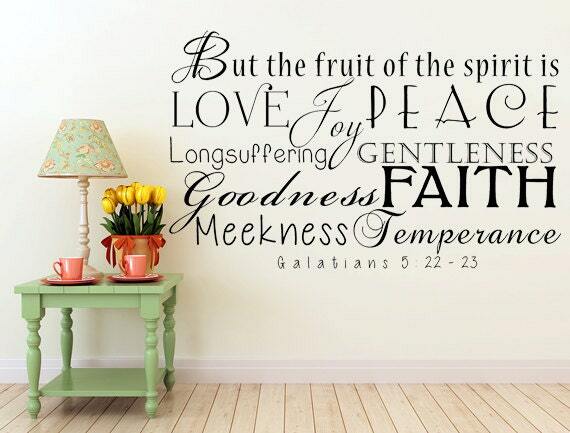 Enjoy viewing the popular Fruits Of The Spirit verses right on your wall! This vinyl decal comes ready to easily apply and leaves an elegant look for any room in your home. Please note the size of this listing as the picture may not show the size to scale. 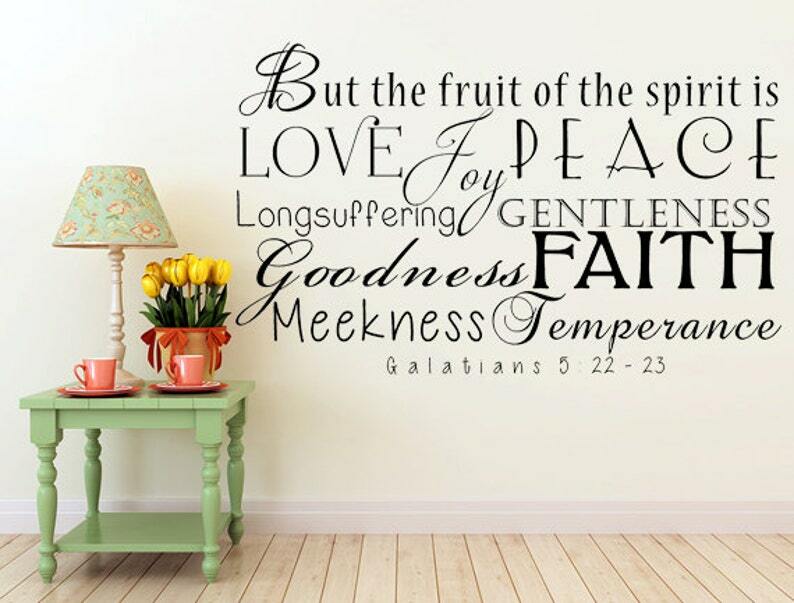 This decal is 36 inches wide by 22 inches in height. Our decals are available in additional sizes, fonts and colors. If you would like to customize this decal, please contact us for a price quote.